The Schooba Academy is a nonprofit, out-of-school, credit-bearing program with a mission of fostering a sustained engagement in science for students from low-income communities through the learning of SCUBA diving. The Schooba Academy is fiscally sponsored by Urban Workshop, a 501(c)(3) nonprofit organization. In 2006, I graduated from the University of Miami with a BSc in Marine Science and Biology and a Minor in Chemistry. I spent the following 18 months in 11 different countries working as a journalist, photographer and SCUBA Instructor. Upon return to The States, I became a cohort 16 NYC Teaching Fellow and spent the following two years teaching middle school science at Lyons Community School – a small, progressive, Title-I school in Brooklyn, NY. In November 2009, I was the Grand Prize Winner of the 2041 Teacher’s Contest and was awarded free passage aboard the 2009 International Antarctic Treaty Expedition with world famous polar explorer, Robert Swan. I am a PADI OWSI Instructor and an Infant/Child/Adult CPR/First Aid Instructor. I have a Masters in Adolescent Science Education from Pace University. For my work so far with Schooba, I was selected as a Finalist in the 2011 Oceana Ocean Heros Contest and presented at the 2011 World Science Festival. 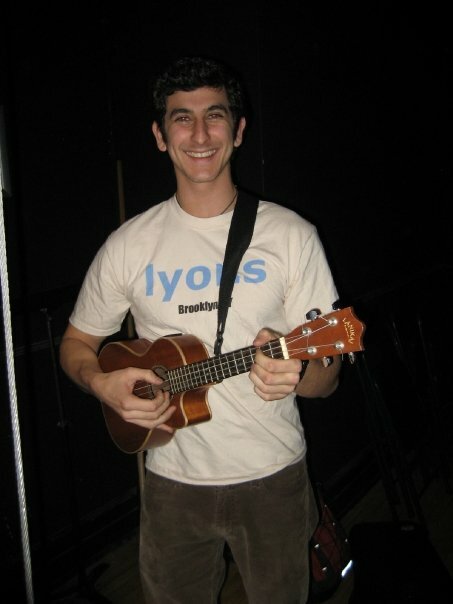 I like to play the ukulele. I have a 15yr old who is a PADI jr advanced scuba diver. He is currently finishing his freshman year in HS but is failing because he can’t get up in the morning to attend classes and is missing his morning class…science. I was searching for something for the summer where he can make up his science and dive. Would like to know if you know of anything. last summer he attended sea turtle camp in wilmington, north carolina, lived in the dorms and was up on time that i am aware of. and he attended camp letts a ymca camp in maryland that had the advanced diving so he could expand his knowledge and experience. Any recommendations?? we live in maryland, willing to send him away for the summer, would love an alternative high school for him as you describe. I have family in brooklyn and used to live in Far Rockaway. THANKS! !